When opportunity knocked, Hugo of More Bounce Hydraulics and Carnalez Auto Accessories answered the call and decided to “go for broke” on this project, all for the love of the game. They found this abandoned truck in the backyard of a friend’s house and they couldn’t pass up a good deal. With a shake of the hand, the deal was sealed and they brought the truck back to the shop. After a few days of planning, they got a game plan together and started making adjustments to the rolling shell that they had purchased. The result was an all-new paint job as well as all-new More Bounce gear. 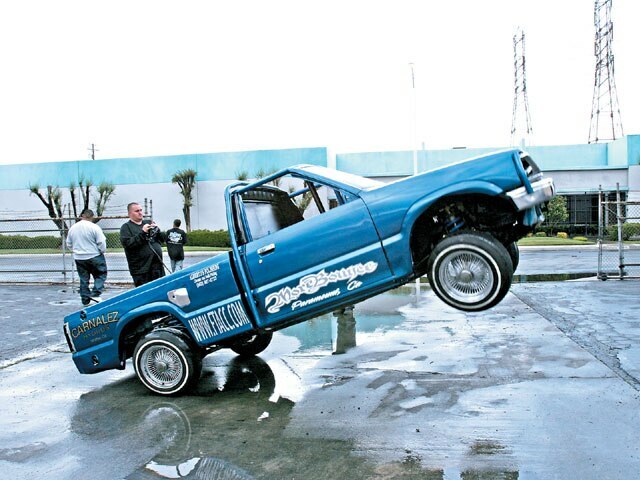 With the Lowrider San Bernardino, California, Tour show just around the corner, they dumped around $10,000 into their dancing money pit. The crew was working down to the wire and barely made it to the show. Once there, however, something went wrong and the truck never made it into the hydraulic pit. The team wanted to redeem themselves so they fixed the problem and called us to show us what they had. 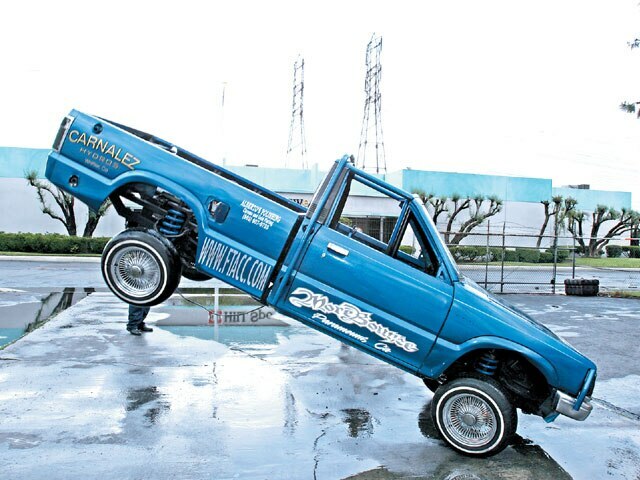 All that can be said for the revamped setup is “watch out.” They’re planning to hit the lowrider circuit with switchman Isaac Mares doing all of the moves, and More Bounce doing all of the labor and maintenance for Carnalez Auto Accessories/Rollerz Only C.C. 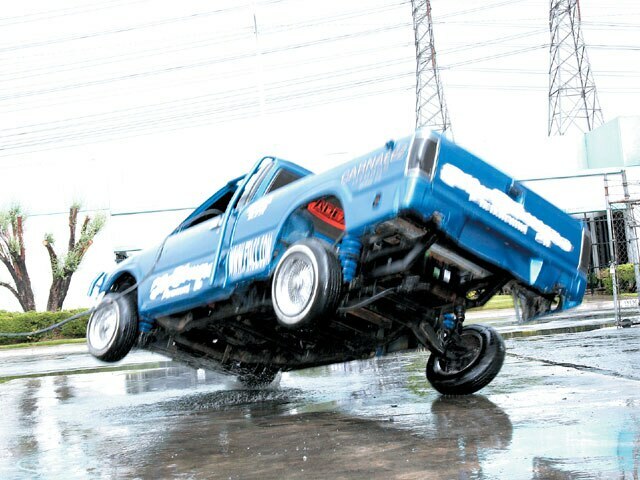 Even with all of the controversy behind the resurrection of this radical dancer, this joint venture is off to a good start and we bet that this truck’s going to make a big impact on the hydraulic circuit.